Bank of China, DBS Bank, ICICI Bank, UniCredit and Swiss Re Corporate Solutions are among a group of local and international banks that have signed up to be “pioneer members” of CCRManager, a new financial platform in Singapore. The CCRManager platform has been designed to help such institutions in “the distribution of trade finance, supply chain finance and working capital assets” as well as “trade risk distribution”, according to a statement on the CCRManager’s website today, announcing the launch of the new platform. Other banks that have signed a letter of intent to become members of the CCRManager programme include ANZ Bank, Bank of America Merrill Lynch, BBVA, Bank of East Asia, BNP Paribas, HSBC, Industrial and Commercial Bank of China, Mitsubishi UFJ Financial Group, Mizuho Bank, Standard Chartered Bank and Sumitomo Mitsui Banking Corp, the company noted. CCR stands for “capital & credit risk”, and the web-based CCRManager platform was developed over the past 12 months with the support of the Monetary Authority of Singapore and major global financial institutions. CCRManager is described as a wholly-owned subsidiary of Tin Hill Capital Pte Ltd, a Singapore-based investment company in “trade finance and working capital-related initiatives”, and supported by the Monetary Authority of Singapore through its Financial Sector Development Fund. CCRManager was “built from the ground up… through a combination of market engagement work groups, consultative workshops, and industry expert reviews conducted with the leading trade finance institutions globally”, according to the statement. It has been tested over the last few months simultaneously across 14 countries, the statement adds. 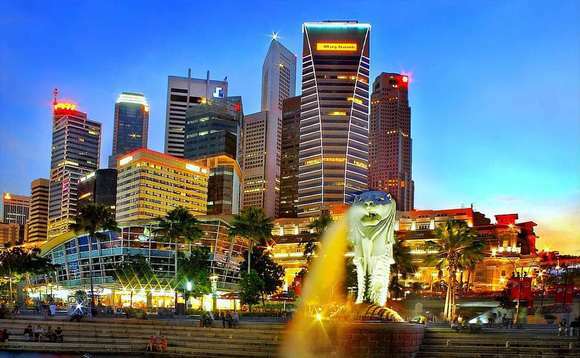 As reported here last year, Singapore has set out its stall as a fintech centre for Asia, and its financial regulator, the MAS, has introduced numerous measures aimed at encouraging fintech companies to set up in Singapore and expand their operations. Last November, for example, during a fintech conference held in the city-state, it unveiled a set of regulatory guidelines it said were aimed at encouraging the use of “experimentations” that would utilise technology to deliver financial products or services, such as the use of blockchain technology for inter-bank payments, and at the same time opened the door to selling “the full suite of life insurance products online without advice”.